Want to be onstage? Learn to act, sing, dance, write, and direct? To play a part in a hilarious comedy? A serious drama? The world premiere of a musical? Or maybe you’d like to learn stage combat, or improve your improv skills, or create original plays ? You can do all of this—and more—in a summer of theatre at Appel Farm! Our approach to theatre at Appel Farm is collaborative and non-competitive. We believe that everyone has the potential to be an amazing, unique performer. We believe that young people, and all people, do their best work in a supportive environment where they’re free to try new things, take risks, and make mistakes. We offer lots of opportunities for people of all experience levels. Been acting for years, and ready to take your skills to the next level? Never been onstage before, and want to give it a try? Come play! 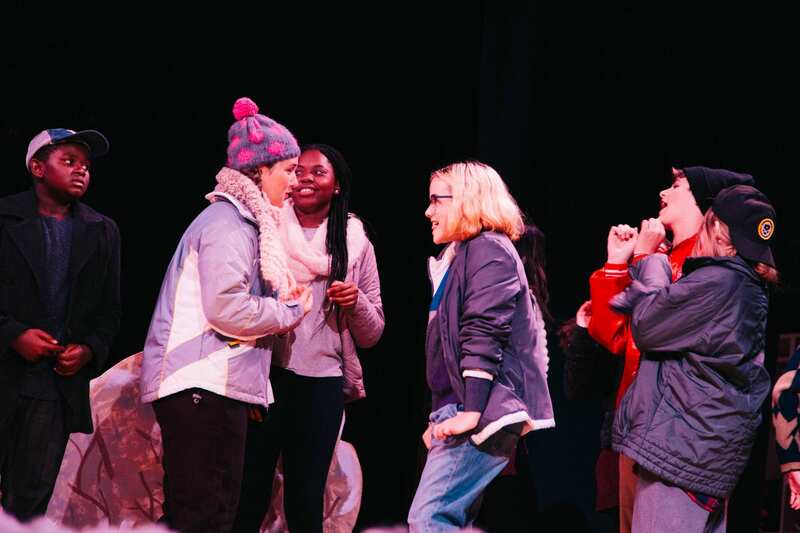 Campers who major in Theatre Performance are double majors, spending the whole morning in skills-based studios and rehearsals for their plays. Our studios are an active, engaging, and fun way to learn the skills of making theater. 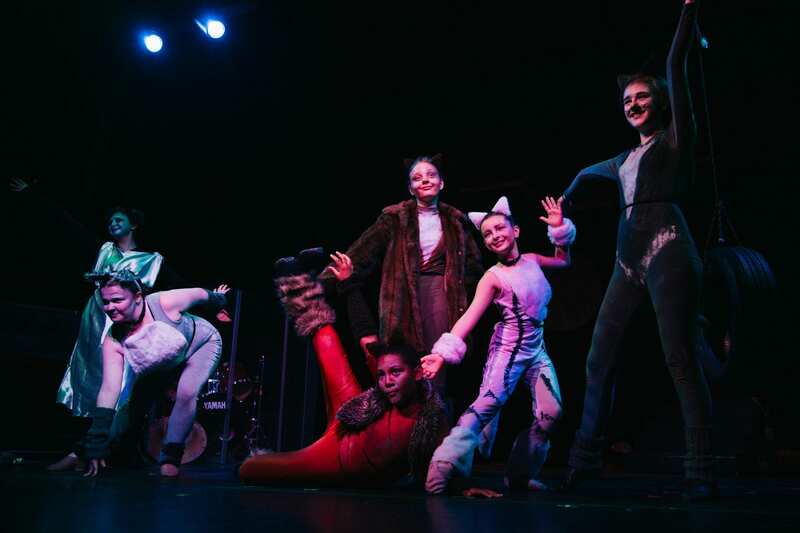 Campers can choose among a wide variety of skills they’d like to learn—past studios have included musical theatre, improv, solo performance, physical and psychological character development, and directing! In addition, every studio teaches the basic acting, body, and voice techniques campers need to give a great performance in their plays. Our plays include comedies, dramas, musicals, classics, modern and experimental theatre, and world premiere original productions, sometimes written by our campers! We produce ten to twelve fully-staged plays every summer, complete with sets, lights, costumes, and sound. We don’t hold auditions, and we don’t make cuts—anyone who wants a role in a play can get one, and every role is a meaningful role! Want to make some theatre, but not sure you want to be in a play? Then try a theatre minor! MINORS, held in the afternoon, are a great opportunity to do theatre in a more relaxed, experimental environment. Most of our minors change each summer, to reflect the unique talents and abilities of our current staff—past minors include Stage Combat, Playwriting, Intro Acting, Acting for the Camera, Directing, Physical Comedy, Radio Theatre, Solo Performance, and Dance Theatre. And every summer we offer our perennially popular minors in Improv, Musical Theatre, and Spoken Word Poetry! Want to work on creating a character? Preparing a piece for a Friday Night Concert? Just need some help with your lines? Come to the Actors Studio! The Actors Studio is a place for anyone to come during Late Night Fun Time who’d like to develop acting skills, work on a play or a project, or just spend time talking theatre with one of our expert instructors.